The cult of Reebok Classics has come full circle since their first showing as iconic footwear in the 1980s. Designs in fresh whites mix with catwalk colours and prints to take you anywhere from work to evening dates and holidays to the gym. Reebok Classics started life in the 1980s as white running shoes, going on to become true icons of casual footwear. The athleisure revival of the last few seasons has seen the cult of Reebok Classics surge in popularity once more. Colour-blocked Reebok Classic high-tops for men give edgy leisure styling with cuffed and printed trousers topped with retro band print T-shirts. 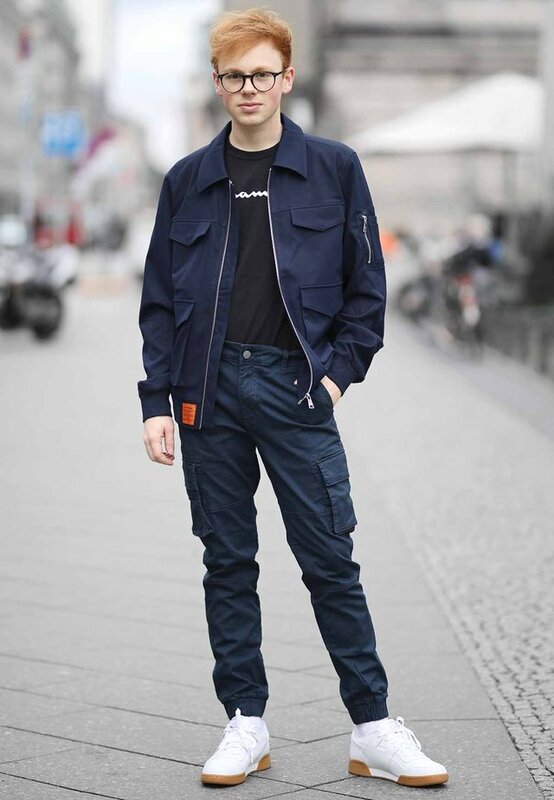 Mix and match casual and smart by teaming low-top Reebok Classics in vivid shades with camouflage cargo pants worn with white shirts and tailored leather jackets. Take Reebok Classics to work by pairing suede designs in brown and blue combos with navy business suits accessorised with knitted ties or simply let the original all-white Reebok Classics give a holiday lift to jeans and shorts. Pick out colours in patterned skirts with your choice of Reebok Classics and add toning plain T-shirts for strong looks that take you from coffee dates to city sightseeing. We love textured womens Reebok Classics that work with top-to-toe black and white dressing. Partner with skimpy shorts and white cotton tees for summer festival fun or add an iconic edge to glamorous evenings with black halter-neck jumpsuits and lashings of gold jewellery. For daytime elegance take a striped or polka-dotted bodycon dress and add to Reebok Classics in soft suede shades or add casual style to short evening skirts with metallic gold and silver trainers.